It's Facebook Fridays! 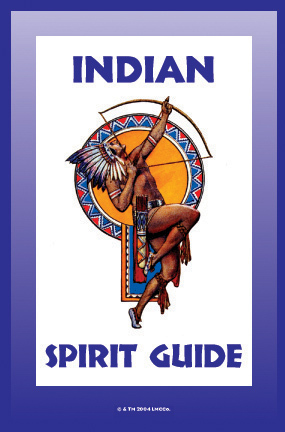 for February 19, 2016, and we are helping folks connect with discarnate Indian spirit guides! The Lucky Mojo Curio Company is holding a random drawing to give away 9 great Indian Spirit Guide metaphysical supply prizes as used in spiritualist churches during message-bearing psychic services. 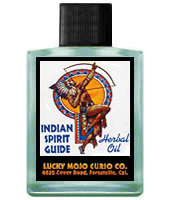 This week the prizes are 9 bottles of hand-made Lucky Mojo brand Indian Spirit Guide Anointing Oil. First thing tomorrow morning, we will select NINE winners at random, announce their names here, and ask them to message this Facebook Page with their mailing addresses, so we can send them their FREE Indian Spirit Guide products. We have a winner! In fact, we have 9 lucky winners! Our Facebook Fridays! winners for February 19, 2016 are: Dennis Ng, Angelica Tejera, Jill Racine, Jackie Bridges Campbell, John Felczak, Tracy Corbin, Melissa Jones, Bryan Wright, and Myth Woodling.